On the open road, your car is everything – your home and hopefully not – your saviour. For long road trips, and it really goes without saying, it needs to be in optimum condition. 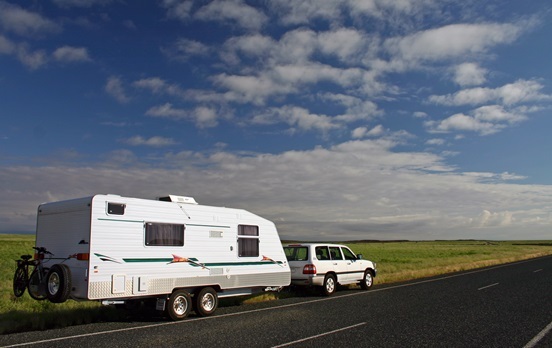 Here is a comprehensive list of must check things to tick off before you hit the road. Tyres – The main culprit in vehicle malfunction. Look over your tyres, are they inflated? (This includes your spare) Is there a significant amount of tread left? Depending on the kind of terrain you’re likely to encounter, gauge the tyre pressure and inflate, or deflate, accordingly. Check for alignment too – it may be time to get one done. Fluid – check all oils, and top up if need be. Be familiar with your emergency equipment – how to change a tyre, be familiar with jumper cables and how to use them. It’s always nicer to start a trip with a clean car. Wash it and have the interior vacuumed. Have an emergency travel toolkit – (screwdrivers, spanners, torch, tire-jack, water) – they should be in your at all times. Check the components of your car – all the lights (headlights, on full-beam, interior and exterior lights) the windscreen wipers, the air-conditioning – and pay attention to any check engine lights – never embark on a trip if that particular light is illuminated. Check the engine – examine the battery and cables for any signs of deterioration. You should change the air filter – if not, it can cause unnecessary fuel consumption. Check your brakes – if you detect grinding, or abnormal vibrations, or if your car is pulling to one particular side when, get your brakes checked by a qualified mechanic. If you’re travelling with children, make sure you prepare entertainment for them. iPods, tablets – whatever – as long as they remain happy and relaxed it will help you, too. Ensure you check your transmission. Problems can chew up a lot of time and money, the last things you want to expend on a road trip. Familiarise yourself with your car’s limitations. Think about yours – if you’ve never covered long distances in one day before, take it slow, and gauge your energy levels. Ensure you anticipate everything that can go wrong. Most of what’s mentioned above attempts to address those circumstances. Make sure you pack the appropriate resources dictated by the climate of your trip – in hotter, arid conditions, ensure you pack sufficient amounts of water for every passenger. In colder climates, make sure you prepare yourself with adequate clothing. On any trip, make sure you have enough food and water. Think about adequate communication systems. Depending on the remoteness of your drive, you may not be able to plug into local Wi-Fi, or indeed phone reception of any kind. The more remote the location, the more you need a satellite phone or a two way radio. As always – if in doubt, or you’re strapped for time, have your car serviced.